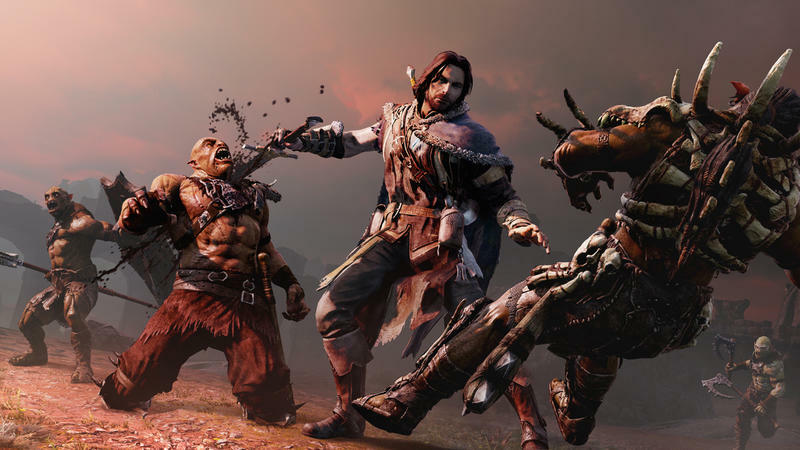 If you are like the rest of the gaming world, at least the rejects not playing Destiny like me, then chances are you've kicked off your gaming holiday with the season's second biggest hit, Middle-earth: Shadow of Mordor. Of course, half the fun of jumping into a mosh-pit of orcs is the ability to walk away untouched with a huge combo meter thanks to Batman's… I mean, Talion's timing based combat system. The more hits, counters, and executions you score, the higher and higher the combo meter climbs. If only there was a way to make that figure climb even higher without the threat of losing all those points. YouTube user Rabbit's Respawn has a three-step solution to getting a theoretical infinite number of combo points. First, you'll need certain items and abilities: the epic sword rune Tower of Defense, which gives you an overly generous ten seconds to score another successful attack, the Elven Swiftness ability, which lets you run faster and even gives you a combo point for each stump you successfully hurdle over, and Shadow Strike, a bow attack which lets you teleport to an enemy you've successfully hit. From there, it's a walk through Mordor to rack up the points. Straight up fighting isn't a terrible idea, but it leaves open the possibility of a spear piercing your head and ending your combo streak. I'm a fan of taking it slower. Stealth kills work nice, but brutalizing attacks give Talion five points instead of the one. Brutalize an enemy, use your ten seconds to either carefully aim at another enemy or use your elven speed to sprint to another nearby one, and brutalize him, rinse and repeat. Rabbit's Respawn, who goes with straight up brawling, scores up 413 points in 15 minutes. Not bad. You can add to this setup with the Pin in Place ability, which will make your enemies stand in place if they are shot in the leg, and the Resilience ability, which gives you a little more leg room to mess up as you can take a blow and not have it count against you. I'm going to give this a try, but I doubt I'll be able to pull it of with those horrible berserkers and their awkward timed attacks. Middle-earth: Shadow of Mordor is available on the PlayStation 3, PlayStation 4, Xbox 360, Xbox One, and PC. Stay tuned in the coming days for our thoughts.